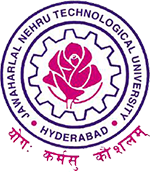 JNTUH B.Tech 1-1 Sem (R18) 1st Mid Exam Time Table Sept 2018, jntu hyderabad I Year I Semester B.Tech R18 regulation I Mid Exams Time Table 2018. JNTU Hyderabad has announced B.Tech 1-1 Semester (R18) 1st Mid Examination Time Table September 2018.
i ) ANY OMISSIONS OR CLASHES IN THIS TIME TABLE MAY PLEASE BE INFORMED TO THE CONTROLLER OF EXAMINATIONS IMMEDIATELY. ii ) EVEN IF GOVERNMENT DECLARES HOLIDAY ON ANY OF THE ABOVE DATES, THE EXAMINATIONS SHALL BE CONDUCTED AS USUAL.